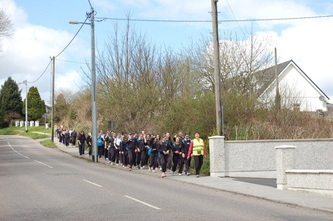 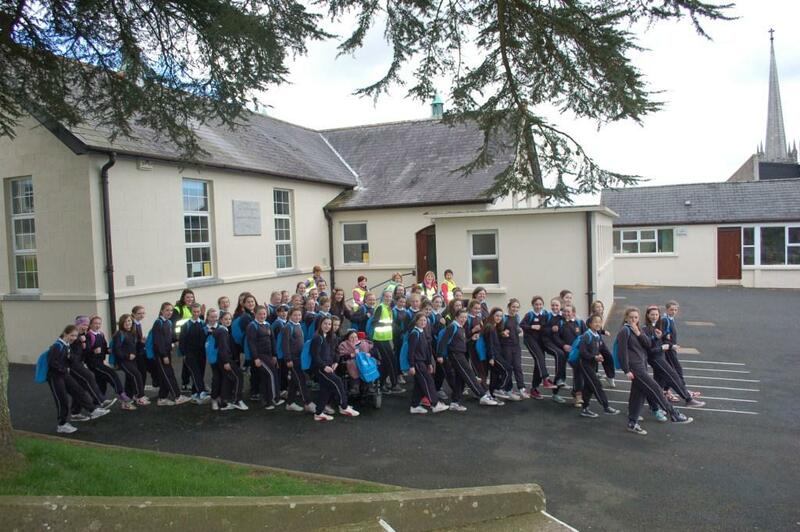 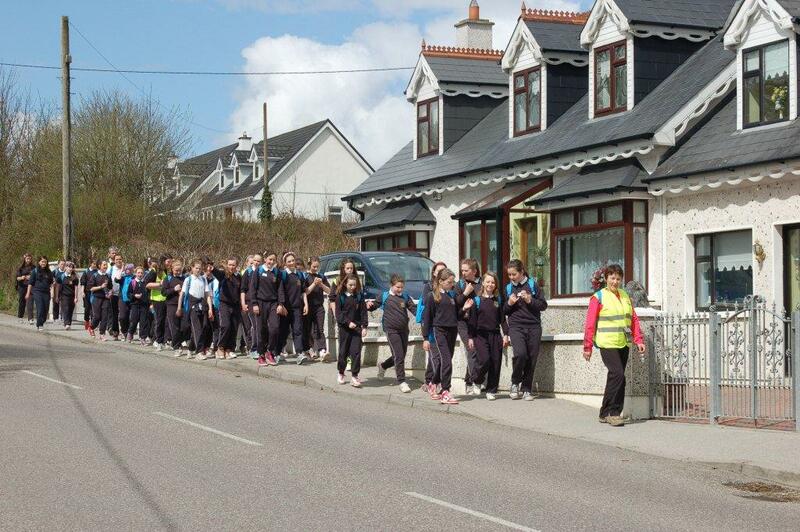 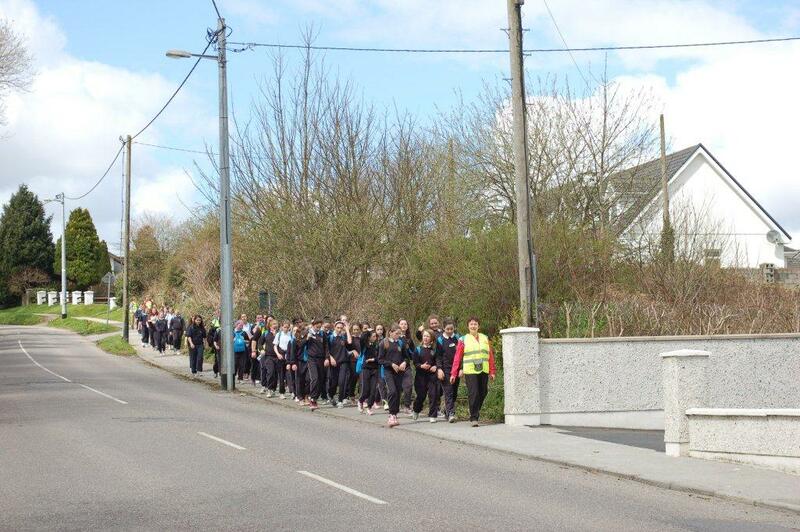 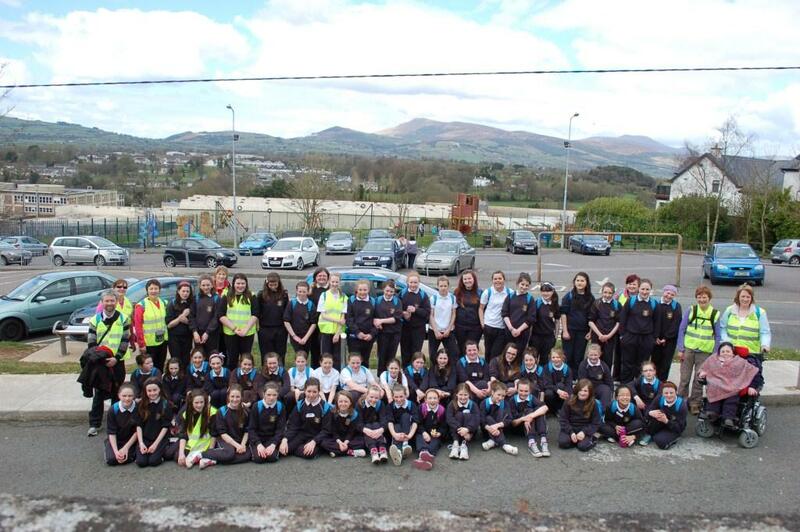 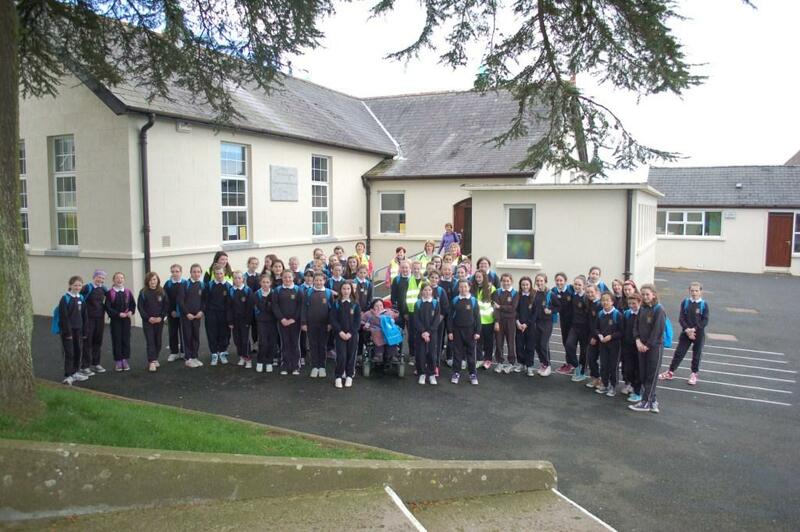 On Friday 19th April, 5th and 6th class walked 4km with three litres of water on their backs. 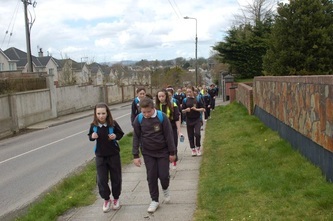 An Taisce provided them with backpacks for the water. They did this walk to experience how difficult it can be for the women and children in some countries around the world to walk long distances and carry up to 20 litres of water everyday. 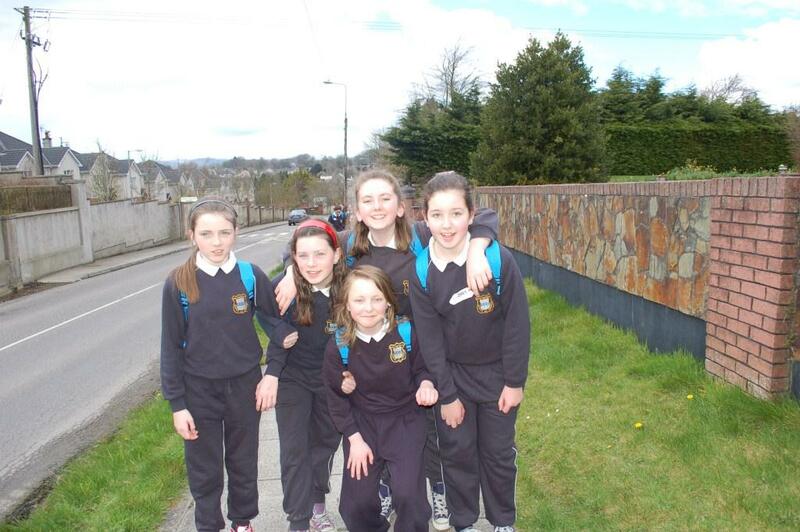 They walked around Mitchelstown. 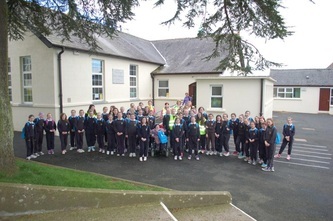 Birgit O' Driscoll from An Taisce has been coming to our school for the last few years and she has been helping us with our green flags so we would like to thank for for all her help. Look at some photos below.